It’s Day 3 of the #28KISSES Lipstick Tag, and the lipstick on my lips Today is KIKO’s Luscious Cream Lipstick in ‘500 Shell Rose’. I got this lipstick a little while ago and I’ve never really worn it because I don’t really think it’s my shade. It’s a bit too too pale for me and washes me out completely, I’m totally gutted about this as this shade is so pretty! However I still think it’s a lovely colour and thought I’d share it with you anyway! This one would look great on you paler skin tone ladies! Especially teamed with pink or peach toned cheeks! The texture of this lipstick is really creamy, but may be a bit too creamy for this shade, if that makes any sense? It’s kind of hard to apply it without it gliding off, but maybe it’s just because this shade is so pale perhaps? Anyone tried any other Luscious Cream Lipsticks by Kiko? How did you find them? 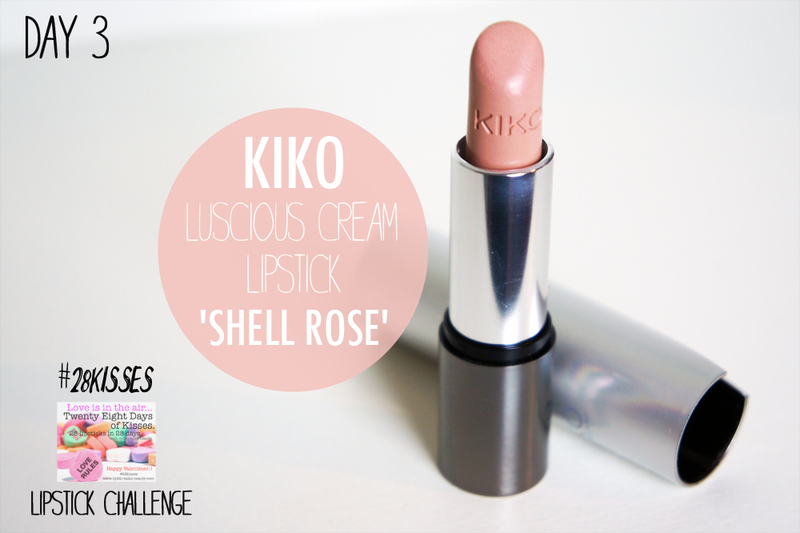 Tags: #28KISSES, '500 SHELL ROSE', KIKO Cosmetics, lipstick, LUSCIOUS CREAM LIPSTICK. Bookmark the permalink. 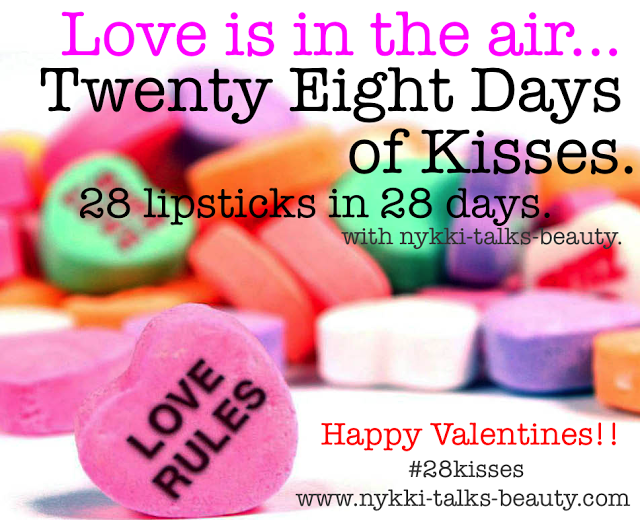 Previous post ← #28KISSES LIPSTICK TAG: DAY 2! This will look fantastic with smoky eyes and peach cheeks. So lovely!